I adore author and motivational speaker Brené Brown’s theory of the need to rumble with the stories we tell ourselves in order to get at the root of what is real. My own theory is that a lot of us in the so-called education reform world have many stories we tell ourselves about why the education system is broken, why our graduation rates are low and teacher turnover rates are high, etc. Yet, it’s the messy middle (another Brené-ism) that we often avoid tackling head on that would allow us to unpack our stories and actually get to real change. The fact that we’re often unwilling to really rumble with these stories in service of doing what’s best for kids keeps us continually disappointed with the outcomes. One of my pet peeve ed reformer “stories” is that we can’t find enough people of color to make our organizations truly diverse. Since so many use the term “diverse” to hide behind the real issue at hand, let me be clear about what I’m talking about here. I’m speaking specifically about adults that are reflective of the students most of this “movement” is out to serve – black and brown kids. I get to see this issue from both sides. Hired by schools and organizations to fill their, typically senior level, roles I have received countless requests for more candidates of color, insight on the best places to find them, etc. As a coach to education professionals seeking employment, I work with many people of color looking for roles at all levels, so I know people of color are out there looking. So, why the disconnect? Since talent professionals are one step away from being magicians, I’m going to share a little “talent girl magic”. Ready? Ok. Here goes… The candidates of color are in the same place as all the other candidates. You’re just not hiring them. There really isn’t a magical place where people of color are applying for jobs or reading job announcements that others are not. How could this possibly be true, you wonder? Second, it still matters who you know when looking for a job. Pervasively in the education field, hiring managers look to their own networks to find people to fill openings. At minimum, recommended candidates end up at the top of the applicant pile and are given a chance to prove their worth through the interview process. I grew up around and still maintain a network of friends from varied racial and ethnic groups, so it still shocks me to realize how many people, here in 2016, do not have the same. That’s right; people are actually working for education equity but still end up having social networks that are predominately made up of people just like them. Is there any wonder that when many organizations put out a call for candidates they primarily end up with more of the same? Finally, as I mentioned earlier that organizations often deem candidates that don’t remind them of themselves as “poor culture fits”. The flip side of that moniker is organizations with a weak culture of equity. By that I simply mean that inclusivity is not their norm. Senior leaders are not people of color and so candidates of color see little room to be developed and grow. People of color have to check their identity at the door in order to fit in, which can be particularly troubling when these are the very people who likely grew up with similar experiences to that of the student population the organization has set out to serve. Work-life integration is not valued while a “whatever it takes” and “work-around-the-clock” mentality is valued. What this does is eliminate from the success matrix anyone whose family situation or personal aptitude cannot function in this way. Left behind are staff with the family support or financial means to make their lives work under conditions in which they are forced to be “all in” all the time. Just think of what that might mean for someone who is the first in their family to graduate college, is paying off exorbitant student loans, and/or needs to provide emotional or financial support to extended family members? Is any of this sounding familiar? If you’re feeling a little squeamish and uncomfortable, that’s good! It means you’re ready for the messy middle and leaning into what’s really, truly best for kids. Do some deep introspection about why you want to hire and retain people of color on your team. Is it about having diverse experiences and perspectives to draw from? Or, are you attracted most to the degree to which people of color can assimilate with dominant culture? You’ll be infinitely more successful at attracting and retaining people of color if they are allowed to bring their authentic self to work everyday rather than to fit into someone else’s expectation of what they should be. Come to think of it, this is a pretty good best practice for all your hiring and retention practices. Being the first, only, or one of the few is overrated and outdated. There was a time (I think it may have preceded color television) when people of color were just happy to have gotten the job in companies that previously wouldn’t have hired them. It’s 2016, though, and people of color really aren’t trying to be the only one that looks like them in any organization. It’s exhausting and improving public education is hard enough without also feeling like a loner. Of course you have to start somewhere if you haven’t already. So before you hire that first or second person of color, make an organizational commitment to incorporate equity and inclusion in your mission, values, and way of working (I can recommend some awesome consultants who can facilitate this process for you). Yes, hiring for equity can feel messy if your organization doesn’t value people and the unique experiences each individual can bring to bear on a high-impact organization. I mean really value them to the point where you’re willing to unpack your own privilege and bias and take risks on who you hire and retain and back up those risks with development and support. If that is the case, your high-impact organization likely modeled a culture of diversity and inclusiveness in its start-up years and kept these tenets at the forefront as the organization grew and evolved. Your organization likely values the research that underscores diverse teams are stronger and produce more creative outcomes but also realizes that hiring for diversity just for the sake of perception, optics, or to present well to communities of color is problematic, too. Don’t despair, though, if your organization is not quite there! It’s never too late to bring equity into your organizational culture. It will take an investment of time, money, and even emotions that, I dare say, is ultimately what’s best for kids. 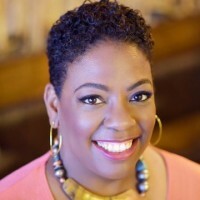 Alicia Robinson is the founder of EdPlus consulting and the former chief talent officer at DC Prep. Andre Perry will returns to Degree of Interest on Tuesday.